A unique guarantee built specifically for brokerage, exclusively for customers of Princess Brokerage International. Enjoy peace of mind with our transparent levels of guarantee within Guardian Assured, built to suit you and your needs as a yacht owner. If you’re looking to sell your yacht, you can choose to add this guarantee onto the sale as it is fully transferable between owners. Purchasing a yacht from us – we can add either level of guarantee to your yacht purchase, ensuring you have the cover you need for your future yacht. Choose Princess Brokerage International to sell your yacht and realise its true potential. At Princess Brokerage International, our priority is to achieve a timely sale with maximum return. With 50 years’ experience, 110 yachting professionals and 20 European locations we mean business when it comes to selling your yacht. In 2018, we were almost twice as fast to sell as the competition on the market, with sales of over 20% of all Princess yachts sold in Europe that year. We also brokered 4 times more Princess yachts than our closest competitor, making us the preferred broker for the Princess brand. We offer to underwrite a part-exchange against any brokerage yacht. Purchase your yacht pre-loaded with either a 12-month Mechanical or 12-month Approved Guarantee. Enjoy easy application and a guarantee which is fully transferable to new owners. 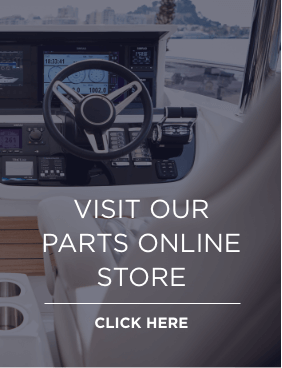 At no additional cost, regardless of where your yacht is located, we offer a Comprehensive Technical Introduction to your new purchase. Benefit from the unrivalled ownership support enjoyed by our Princess clients throughout Europe and beyond, with industry knowledge and expertise backed by an ABYA accreditation.